Pedicraft height adjustable canopy enclosed bed provides convenience for the caregiver when a patient needs frequent medical attention. Pedicraft height adjustable canopy bed can be raised up to 10" from surface by a hydraulic hand crank. 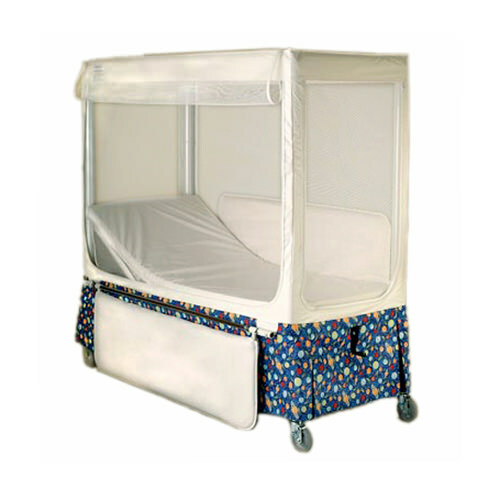 Pedicraft height adjustable canopy enclosed bed is constructed of strong polyester mesh and sure-chek healthcare vinyl. The vinyl of the enclosure is bacteria resistant and the cover can be removed for cleaning. The pedicraft canopy bed mattress is constructed of high density, fire-retardant foam covered in sure-chek comfort vinyl. The pedicraft enclosed canopy bed prevents a child from climbing over the side and falling to the floor.